Being on a keto diet does not mean you have to forgo pumpkin, you can still enjoy it in small portions. I have featured my absolute favorite pumpkin keto recipes with cream cheese! You will find yourself coming back for seconds. I am becoming more and more interested in keto diet due to the benefits of losing weight and burning off belly fat, which is brilliant for us woman wanting to stay in shape. The pumpkin keto recipes with cream cheese below are low in carbohydrates helping your body go into a state of ketosis and burn off fats in the body. If you are like me and have a sweet tooth then you will surely enjoy some of these pumpkin dessert recipes with cream cheese! Oh my word how delish do these not look!! I could eat a dozen in one go. These are so easy to make and even easier to eat! Follow my yummy pumpkin cupcakes recipe and add cream cheese and blueberries afterwards. Of course you can add any berry you like. I think blueberries work well but there is no reason you cannot add cranberries, which are a hit in pumpkin bread by the way! Keto Pumpkin Spice Latte Muffins – sound amazingly awesome because I love pumpkins and latte. I almost forgot to mention these are gluten free too. Paolo at Gnom Gnom likes to add a cream cheese filling or else a cream cheese frosting on top! She tops it off with almonds! You can add walnuts or pecans instead for a real nutty flavour. 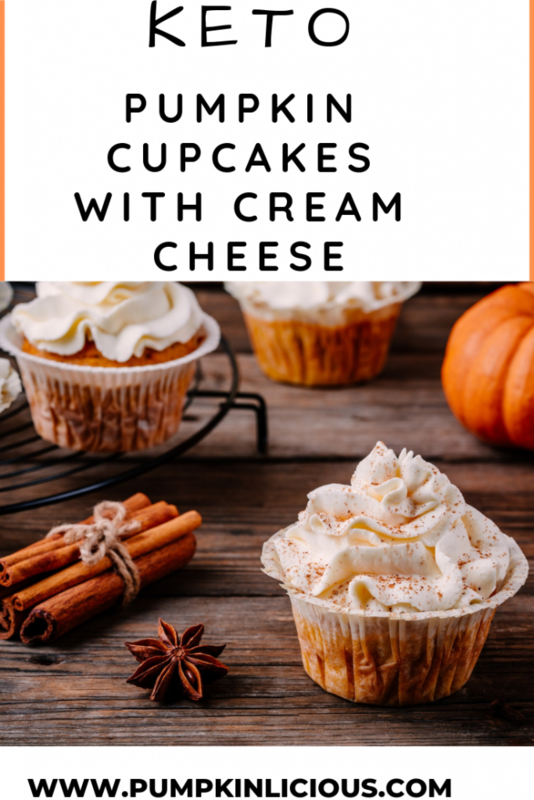 Pumpkin Cupcakes With Vanilla Cream Cheese Frosting – These are a simple but tasty idea and something I really wanted to feature in my pumpkin keto recipes with cream cheese. They have a hint of spice and cinnamon making them sound like the perfect date with a hot cup of tea or coffee. 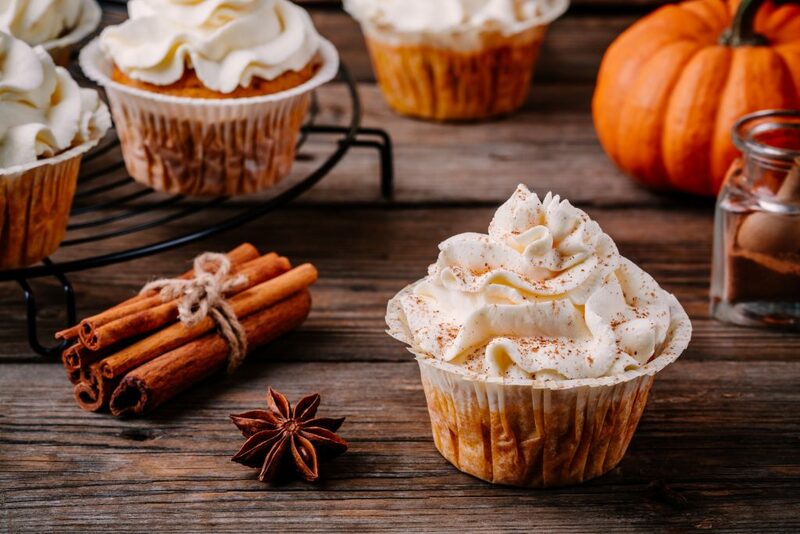 Pumpkin Spice Cupcakes With Maple Cream Cheese Topping– We all know spice works extremely well with pumpkin but what I did not know, until I read this recipe, was that maple is a hit with cream cheese. Keto Pumpkin Cream Cheese Pound Cake – trust me you really ought to try this. Hilda is an expert in low carb keto recipes and she does not disappoint with this recipe. The winner here was the maple mixed with cinnamon in the icing! 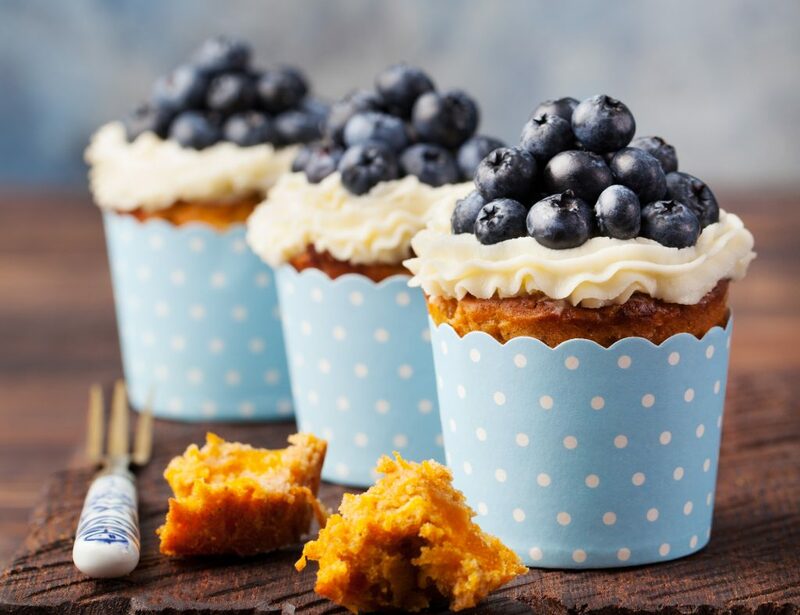 I love cupcakes and muffins with fruit and vegetables because you are getting to enjoy something sweet whilst getting a healthy boost of antioxidants at the same time! Which of these pumpkin keto recipes with cream cheese do you like best? Perhaps you want to try and make them yourself. Please read my guidance on how to cook pumpkin to help you.